Once you have completed one round of a competition, for each subsequent round you can then copy the players in your team from one round to the next to save time in setting up your team list. 6. Select COPY PREVIOUS TEAM. 7. 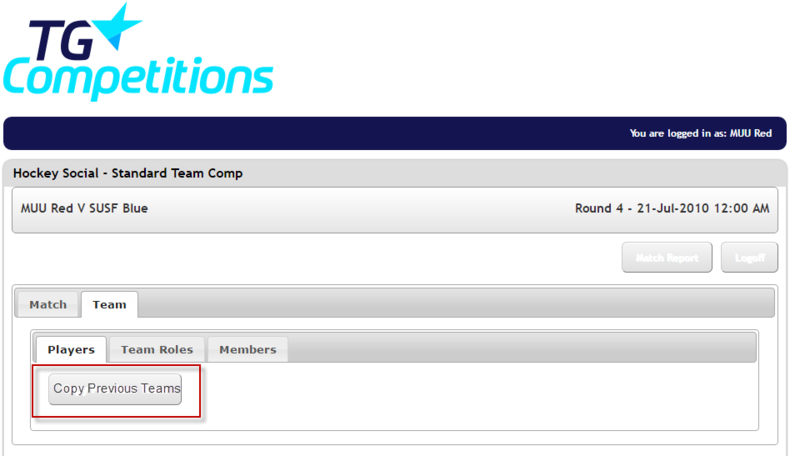 Select the round that you wish to copy the team over from, then click COPY. 8. Enter player numbers and positions, then select SAVE PLAYERS. By adding players into this area, it then allows team administrators to login after the fixture and complete the player statistics for each player in the team.